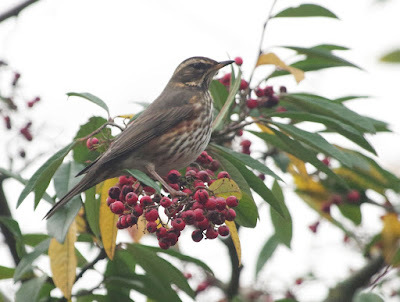 Birds of the Heath: New Year's Day: start the year with a dip! Linda and I thought a walk would do us both some good, so we parked in Norwich before the rush and walked around the Chapelfield / Jenny Lind Park area for a couple of hours, searching for yesterday's Waxwings. 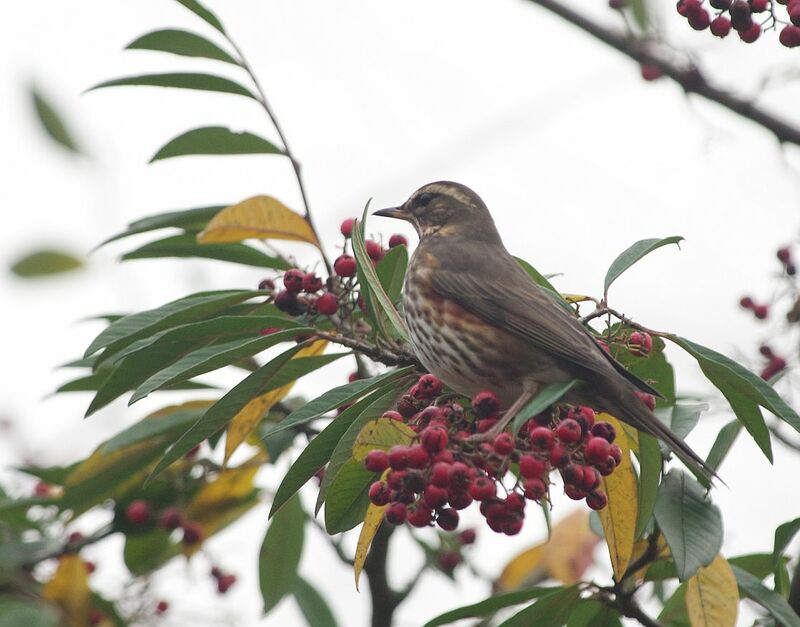 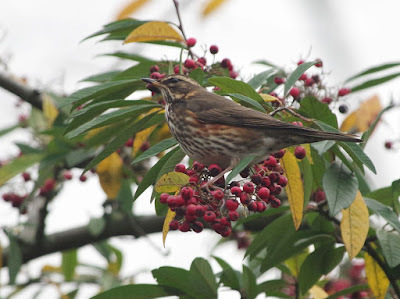 Despite these being reported as still present by RBA, we met several birders who'd been looking since 8.00am without any luck: certainly they weren't in the bushes and trees they were favouring yesterday... All we encountered were a few Redwings: most acceptable birds to kick off the 2019 list! After coffee at the Assembly House and another search, we gave up and went home!